Ala, the monster was at home practising on her new light brown violin that she got for doing well in tests . The other monsters did not care for her so she was mostly alone in her wooden house on the fringe of the village where the waves crashed into the cliffs. She had lived with her grandma, grandpa and her dad. Her mother had fallen off the cliffs. One day a man at school heard how good she was and invited her to the music competition on that Friday. Ala was excited and started preparing. On the day of the competition, someone was admiring her violin. But when it was her turn and the violin was completely out of tune. 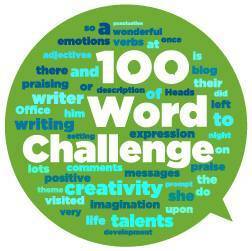 What a great job you did of using this week’s prompt. I was sad to hear that Ala’s mother had fallen off the cliffs, that Ala didn’t have any friends, and that someone had touched her violin so that it was no longer in tune. Poor Ala – it must be tough being a monster! !